An emerging author adds a well-researched, captivating historical fiction novel to the growing list of novels dedicated to the Civil War. Historians have it that the American Civil War is the most studied and written-about episode in U.S. history. This significant segment of history presents a treasure trove of material to work with. Take the case of Jon Neal Wallace, author of the historical fiction novel “Ragman’s Roll: The Unsung Hero of the Civil War” (SBPRA; 2014). 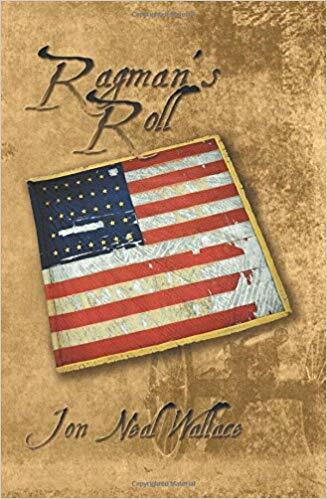 Set before and during the deadliest war in U.S. history, “Ragman’s Roll” tells the story of two men, Will Wallace and his former adjutant Tom Jackson, who help their friend Abraham Lincoln secure the Republican nomination for president. When Lincoln becomes president, both Will and Tom become his aides and security agents. When Civil War breaks out, they enlist in the Union Army; Will becomes General W. H. L. Wallace, with Tom serving as his scout. They are soon sent to fight on the western front of the Civil War. They fight in the battles at Fort Donelson and Shiloh, both in Tennessee. The subplot of “Ragman’s Roll” features the dreamscapes of General Will who, unfortunately, gets mortally wounded at Shiloh. Mother Africa appears in his dreams, showing him the real purpose of his life, which is to end slavery. The historical fiction novel earned a stellar review from the Historical Novel Society, calling it “a strange and unusual Civil War novel.” The review says: “Wallace expertly works in an enormous amount of historical detail into what is nevertheless a lean and fast-paced story (and also, fair warning, a frequently visceral one). Order Jon Neal Wallace’s “Ragman’s Roll: The Unsung Hero of the Civil War” today through Amazon and Barnes & Noble. Jon Neal Wallace grew up in Burlington, Iowa. Just north, in the township of Northfield, is a cemetery holding the remains of the author’s great-great grandfather, James Parker Wallace Sr., first cousin of General W. H. L. Wallace. The inspiration for this book came because of a quote made by General Grant, stating: “Had General W. H. L. Wallace lived, I would not be where I am today.” This meant General Will did something special, “so I started researching, and found out the true facts about the general. He is the unsung hero of the Civil War.” The author holds an MFA in Creative Writing from Goddard College. This is his first book.